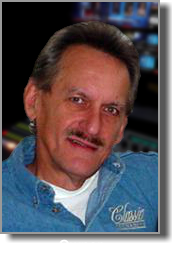 Mid-America Communications Audio/Video Services, founded by George H. Cumbee Jr., was born out of Audio Creations Inc.. Audio Creations has been the premier company for sound and recording needs in the Midwest for over 35 years. Our expertise does go much further with an extensive experience in broadcast television, projection and lighting. We have worked on major events all over of the country and also own and operate one of the major recording studios in Nashville; Classic Recording. MIDCOMM can now offer services and an experience level that until now has not been available in the Midwest.